This is a customized weather token set made for Impact! The names of the weather conditions are etched and can be filled with your choice of colour just by using a crayon (I used white for the set in the picture). 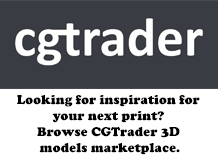 Each token stands around 30mm tall and is about 21mm wide and 12mm deep. 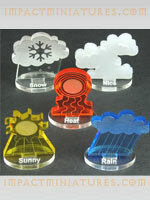 These are excellent high quality tokens to help you keep track of the current weather in your game.